A super car for the moderately well off . . . 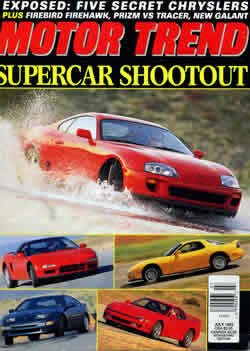 Owning the Toyota Supra was an incredible rush - a perfect combination of brutal power and poise. 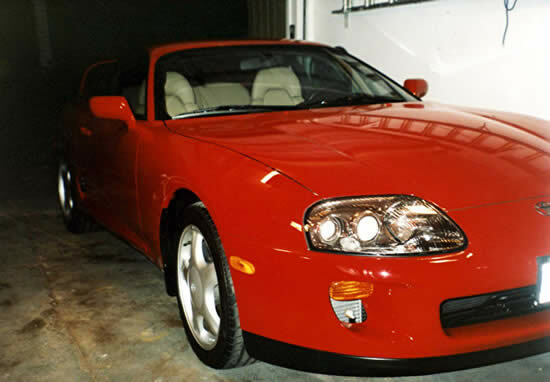 I received the first Supra Twin Turbo in Canada after rushing to place my deposit after reading the wildly positive reviews on the car - just like with my VW GTI a decade before. 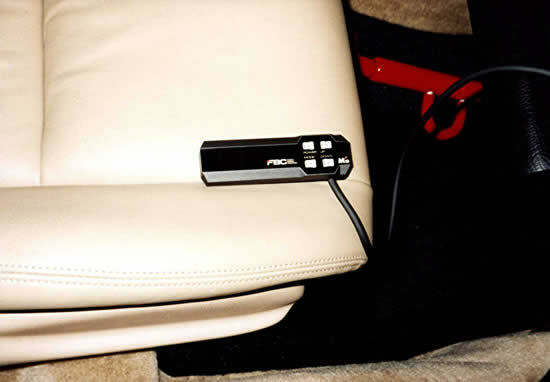 This car felt feather weight light - you could literally place it anywhere you wanted to, and even come into a corner far too quickly, and live to tell about it. 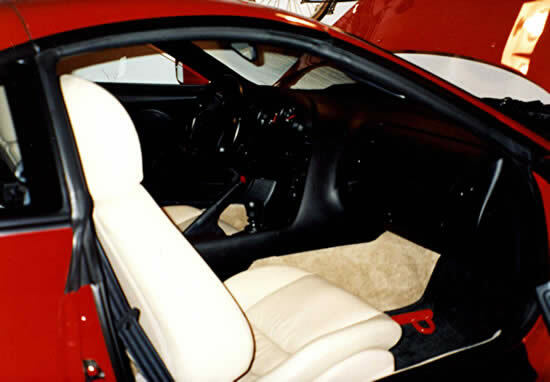 Stock out of the box, it would do 0-60mph in 4.9s, and hit a top speed of 175mph (with the governer disabled). 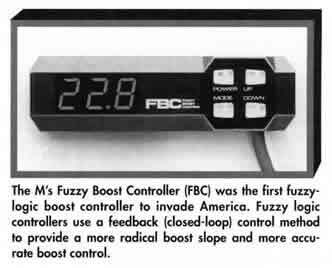 And after I finished making some performance upgrades, including a fuzzy logic boost controller that doubled the turbo boost levels, it was also capable of running low 12s 1/4 mile time slips. For $80,000 (at the time), it was a performance bargain. Like my VW GTI, this car will go down in my personal automotive history book as one of the finest experiences I have had in my motoring life - all of the joy of the GTI (playfulness, simplicity, and quality) with the raw power of the Ford Mustang (actually much more, but you get my point). 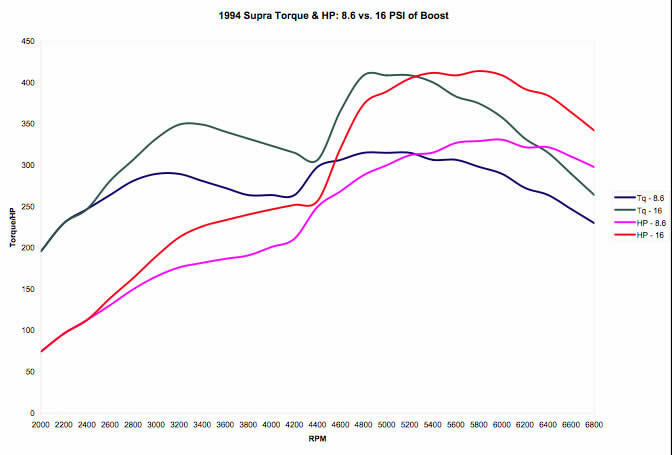 The most important upgrade was the installation of a Fuzzy Logic Boost Controller that allowed me to fine-tune the boost anywhere from the stock 8.6psi, up to 17psi, which was the limit where the stock fuel injection system could keep up with the increased fuel flow requirements (this in itself was an amazing stat as very few other stock turbos can have their boost levels doubled without the addition of higher flow-rate injectors, fuel pumps, computer modifications, etc.). 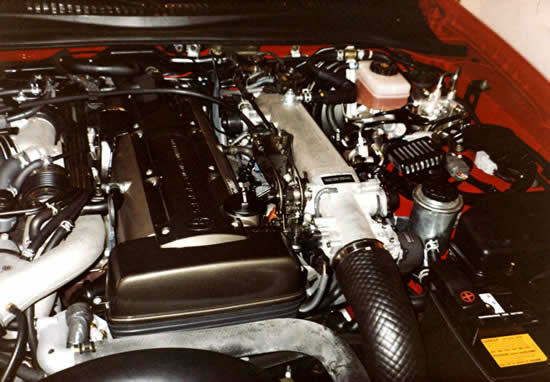 In order to maximize the potential of the increased boost, I also installed an intake water injection system, which sprays a fine mist of water into the intake system to help cool the compressed air, and an external intercooler water/alcohol spray system, which helps increase the cooling efficiency of the intercooler. With fantastic cornering and braking right out of the box, I left the rest of the car unmolested. As the engineering/scientific minded individual that I am, I like to see 'cause and effect' with the various modifications that I make to my cars. 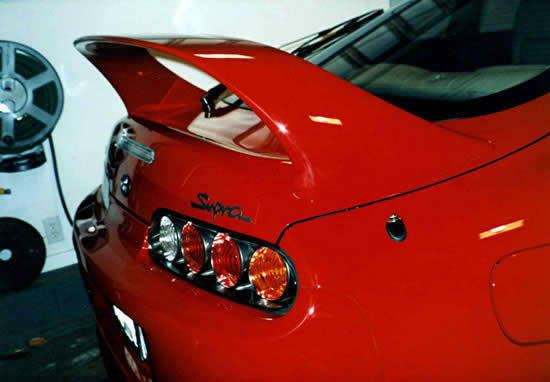 With the Supra, I again used a Valentine Research G-Analyst to record the performance envelop of this car every step of the journey, ultimately taking the stock 320hp car, which could manage a 13.4s @ 107mph 1/4 time slip to a 415hp car, running 12.1s @ 115mph in the 1/4 mile - on street tires. 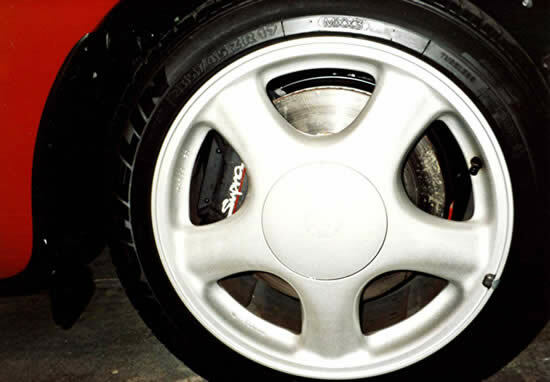 With slicks this car would have run an 11 second pass. The G-Analyst could record acceleration readings in 0.1s intervals in all 3 axis and then this data could be transferred to a PC for analysis. 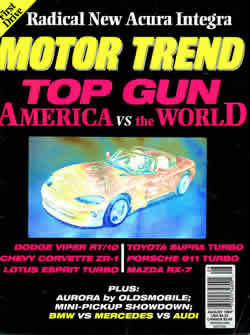 I would carefully record acceleration runs in third gear (vs 2nd gear for the Mustang as the Supra would spin the tires in second gear and the engine would not fully load due to the additional power), ensuring that the engine was at the same operating temperature for each test, and then feed the recorded data into a software program that I had written that would create simulated 1/4 mile performance analysis data. I would use 'coast down' tests to subtract out the effects of wind and rolling resistance to gain a true 'picture' of the power being produced. I also installed thermocouples and used a multi-channel temperature data logger to allow me to gauge the effectiveness of these modifications on lowering intake air temperatures - they did work. 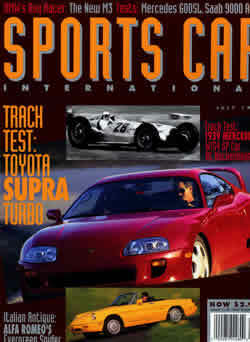 Sports Car International - July 1993).